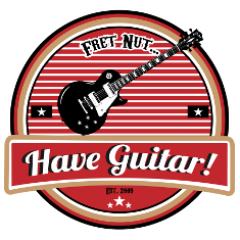 backing track Archives - Fret nut... Have Guitar! Have Guitar is happy to give you another backing track for guitar solo practise. This one is clearly inspired by Led Zeppelin but not a straight off clone. It’s slow moving in 80 BPM, kinda heavy and veeeery groovy, baby. Did I mention its blues? No? Well it is but not trad blues. All guitars & base played by Magnus Cassersjö. Addictive Drums 2 arranged by Magnus Cassersjö. Keyboard by Christer Sundh. Recorded and mixed in Reaper. I hope you liked this video/backing track, please do subscribe to Have Guitar to give my little channel Some support. It’s all free of course and just takes a click on the sub-button… As always – a very Big thanks to all of you already subscribing! This backing track is available with or without commentary, see the videos linked below the text. Have Guitar proudly presents the 7th backing track – “Circle of Clowns”, a funk/rock backing track in E, 130 BPM. The backing track is available with or without comments. Guitar is a Fender Amercian Standard Stratocaster through the Kemper Profiling Amp, the profile used is ReampZone’s Orange TH30 Modded. Base used is an Epiphone Thunderbird classic IV pro also run through the Kemper, the profile comes from the free bass rigs in Rig Manager – Brass Diver Solo. Drums are XLN Audios Addictive Drums 2. Recorded with Reaper.